The private lessons of Classical Northern Wu Style Tai Chi (Taijiquan), Cheng Style Ba Gua Zhang, Hebei Xing Yi Quan, Internal Martial Arts Weapons, Medical Qi Gong, and Tao Meditation. We are proudly working with so many talented, creative individuals to achieve their goals in life! A training beyond physical fitness. Each of us is an unique human being in different physical structures and living with a particular professions, and we do always expect everything is getting better and feeling the needs for a greater living and extraordinary health - So here, we begin to improve the value of life in a very special way, especially for those who do not have time to take regular group classes in our studio, or just simply like to have a private study environment and full attention to address their special needs. 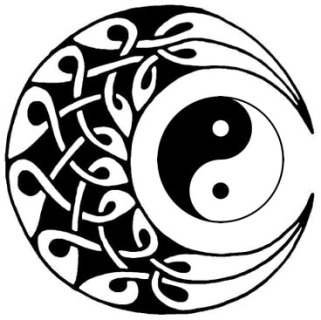 The private lesson of classical Tai Chi, (Northern W Style Taijiquan), Cheng Style Ba Gua Zhang, Hei Bei Xing Yi Quan, Medical Qi Gong, and Tao Meditation - A training beyond physical fitness. Classical Tai Chi (Taijiquan) - Classical Northern Wu Style Taijiquan systerm will be taught for healthier body and stronger mind which Tai Chi is famous for. The martial application will be taught along the classes. Cheng Style Ba Gua Zhang - Classical Cheng Style Ba Gua Zhang system, forms and weapons. ﻿Heibei Xing Yi Quan ﻿- Classical Xing Yi Quan system passes on from GrandMaster Liu Jing Ru. (Master Frank Allen). Wu Dang Mountain "The Turtle & Snake Qi Gong" for health and longevity. Tao Meditation - Ancient Chinese Taoist philosophy and posture guided meditation for every mind that looking for calm, balance, clarity, and freedom. Boxing & Kick-boxing Work out - This uplifting exercise for stress relief, confidence, and you DO wear boxing gloves and learn great technique of punches and kicks! You are not only can choose from these topics in your private lessons, but also can combine them according to your personal needs. The private lesson is one on one and one hour long with flexible schedule at your convenience. You can choose your home/Gym/Park location for the lessons (Manhattan area only). The private session is one on one and one hour. Price is $135. Cooperation event or in-office class is $250 per hour. $175 for 1 hour lesson - in a rented studio, or your location. $75 each, if 2 persons. $135 for 1 person for 1 hour lesson - in a rented studio, or your location. $75 each, if 2 people. $65 each, if 3 people. ​ $55 each, if 4 people. No refund if the cancelation is 24 hours prior to the appointment. Payment due as soon as the appointment is confirmed. You will get a 48 hours reminder for the appointment. If your appointment confirmed within 48 hours, your need to pay immediately. If you notice us the cancellation within 48 hours prior to your scheduled appointment, no refund. No fee will be charged if you reschedule or cancel the appointment 72 hours prior to the appointment. No refund if you have no-show at scheduled appointment. 1 private lesson in a rented studio or any locations in Manhattan, NYC. A one hour private lesson with 2 people. ($75 for each).